Home / ROMANCE MOVIES / Teenage Romantic Drama "Everyday"
Can you have a relationship with a soul who inhabits a different body every day – sometimes boy, sometimes girl, sometimes the school quarterback, sometimes the outcast? Find out the answers in the preternatural young adult movie “Every Day” directed by award-winning Michael Sucsy. 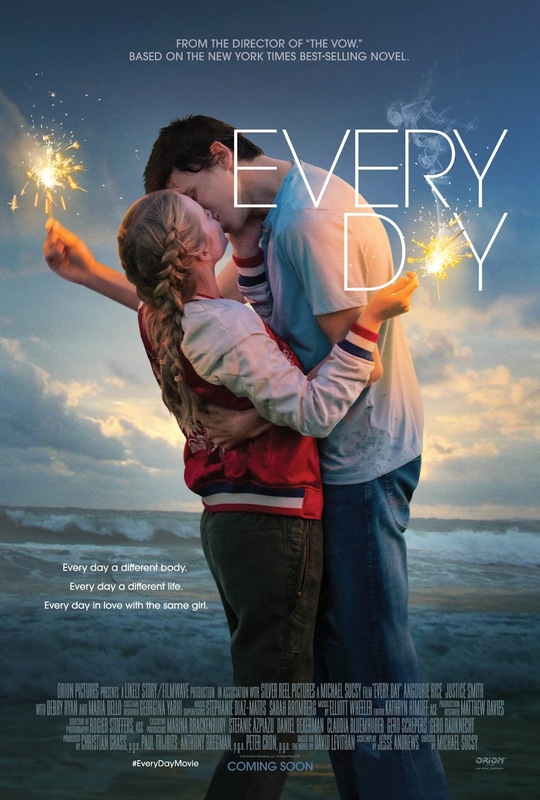 “Every Day” is based on David Levithan’s tome that resonated so deeply with his readers that it spent months on the New York Times bestseller list and spawned online chat groups, fan art and writing. 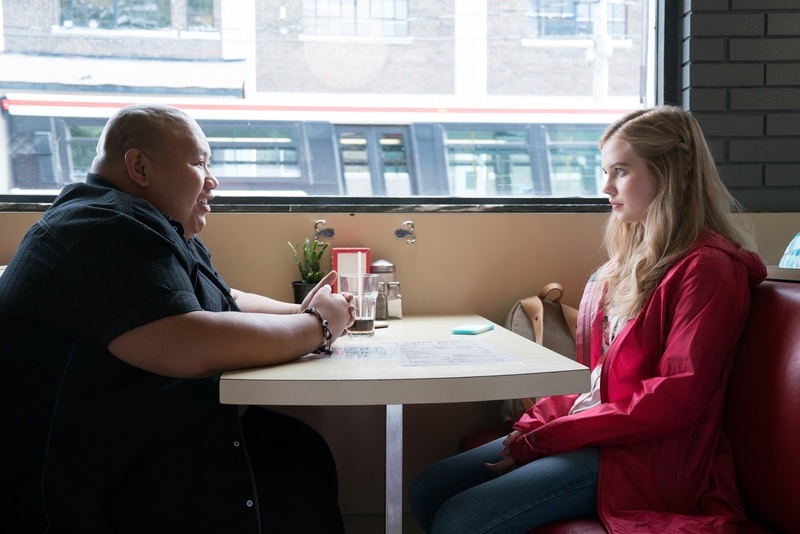 The movie tells the story of Rhiannon (Angourie Rice), a 16-year old girl who falls in love with a mysterious soul named “A” who inhabits a different body every day. Rhiannon and A work each day to find each other, not knowing what or who the next day will bring. The more the two fall in love, the more the realities of loving someone who is a different person every 24 hours takes a toll, leaving Rhiannon and A to face the hardest decision either has ever had to make. Rhiannon is a good 16-year old – she helps out at home, doesn’t cause trouble, and does well at school. However, her family has been struggling – her father had a nervous breakdown and stopped working leaving her mother the pressure of being the sole breadwinner. At school things are little better – Rhiannon’s boyfriend Justin is the popular athlete, however, he’s also self-centered and takes Rhiannon for granted. That is, until one day when Justin shows up at school acting differently. Suddenly, he’s attentive and curious and sweet. Taken aback and enamoured, Rhiannon suggests they play hooky and steal away to Baltimore. The two take off in Justin’s car, listen to music and sing along, share stories they’ve never shared before, and play at the beach. It is a day like they’ve never had before: perfect. Yet the next morning at school, Justin seems back to normal and he barely remembers what they talked about or the day they spent together. Rhiannon is perturbed, but tries to shake it off. Not long after, Rhiannon meets a few other teenagers her age and finds out that it is A who inhabits these teens but only for 24 hours. Rhiannon is naturally disbelieving at first, until A manages to make contact with her a few more times over the next few days and eventually proves they are telling the truth. What follows is an extraordinary love story that transcends external appearances and physical limitations. “Every Day” is a love story about loving someone truly and completely for who they are in their heart and soul, regardless of what is on the outside. The movie also stars today’s exciting young stars including Justice Smith (Netflix’s “The Get Down”), Owen Teague (“Bloodline,” “IT”), Debby Ryan (Disney’s “Jessie”), Colin Ford (“We Bought A Zoo”), Lucas Jade Zumann (“Sense8”) and Jacob Batalon (“Spider-Man: Homecoming”).